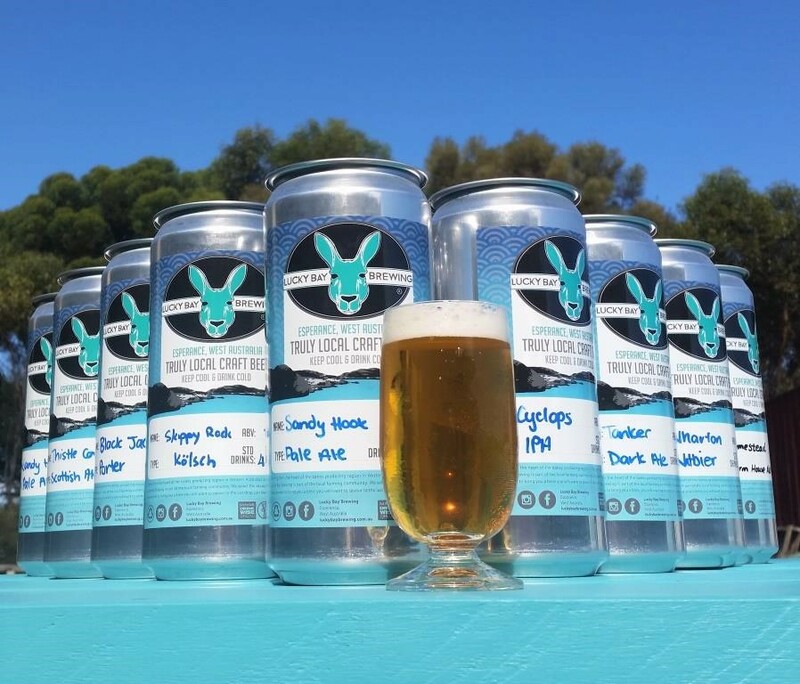 BIG CANS freshly filled from Lucky Bay Brewing have now got a whole lot closer for Goldfields crew with Peels Liquor (Bottlemart) in Boulder having a full selection available, Geraldton folks can also treat themselves with a south coast brew thanks to Cellarbrations at the Queens, and Hutchy and the crew at Liquor Barons Esperance stock a fridge full of your local beer here in Esperance. PLUS when possible we are happy to open at other times by appointment and for group bookings. Brewery tours also possible by pre-booking. Ring Nigel to arrange 0447 631115. We have limited numbers allowed on premise, so if coming in a very large group, please contact us to arrange a time that suits.